Red light, green light. This carnival game will stop you in your tracks. Looks so simple, yet harder then you think. 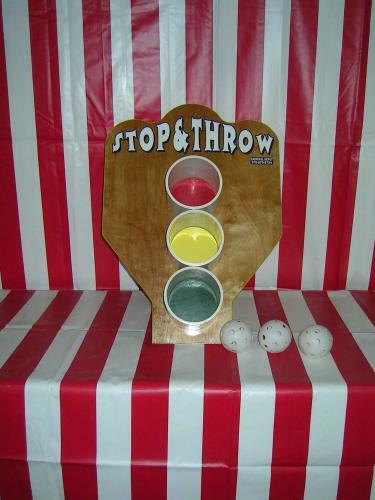 Stop and toss the ball. Try to land it in the bucket. Good luck, the ball wants to bounce out. Easy does it. Table not included.